According to its guests, the Coach House takes ‘self catering’ to a whole new level. 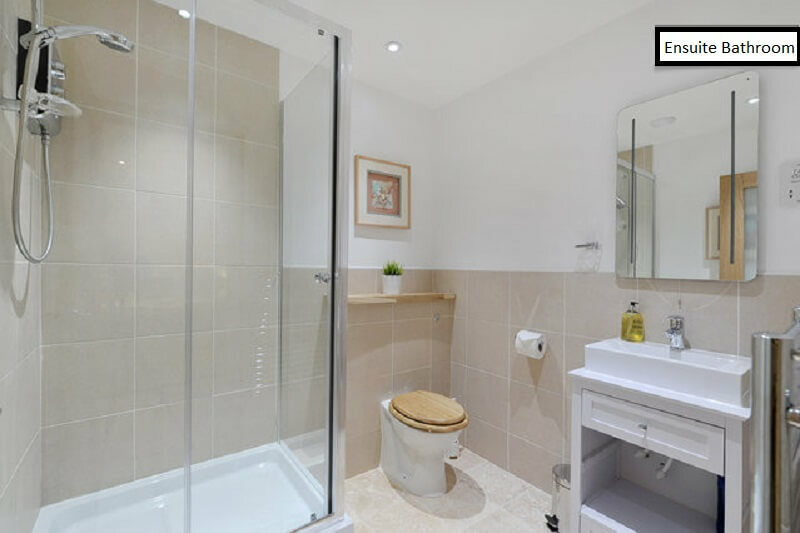 Recently, one guest wrote, “We travel the world and have stayed in many apartments but none match your levels of attention to detail.” Four star ‘Gold’ rated and with stunning views at the rear. Two bedrooms which can be configured as twins or doubles gives you maximum flexibility. 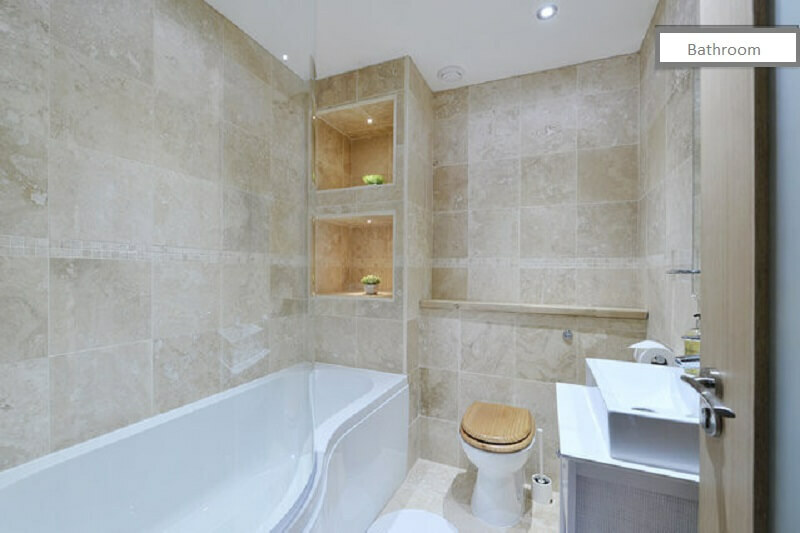 Two bathrooms add extra luxury. The Coach House takes ‘self catering’ to a new level. 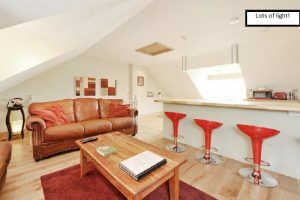 If you are looking for something just a bit special then the Coach House could be it. 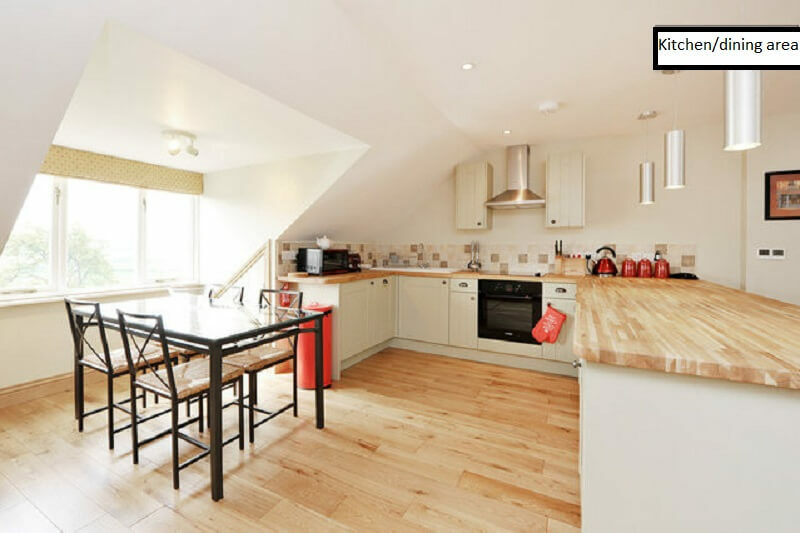 The Coach House is finished to a very high standard, ideal for a romantic get-away, a relaxing break or a base for all the many sights of the area. The accommodation is flexible, so the property is suitable and cost effective for between one and four people. The two bedrooms can be set up as doubles or twins, it’s up to you. Either way, you will experience some of the best beds you have ever slept on and feel so cosy enveloped in the super high quality Egyptian cotton linen you will find throughout. 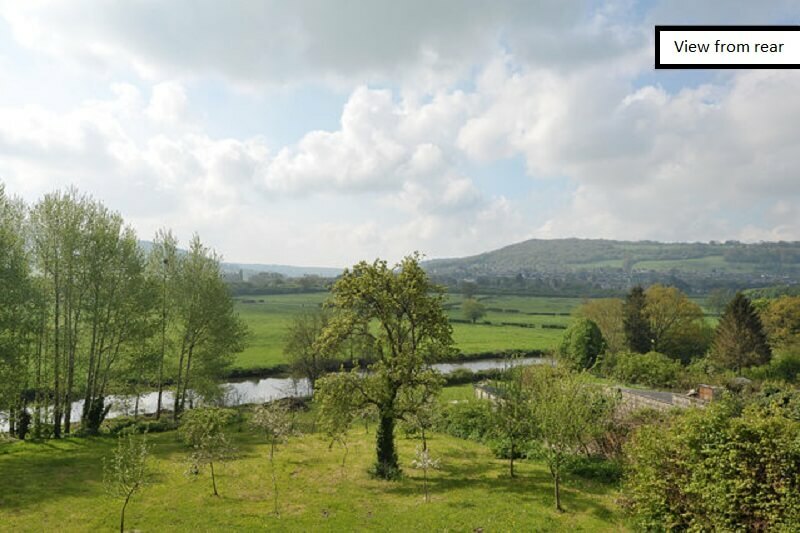 One of the two bathrooms has a bath and there is a tremendous feeling of spaciousness, as well as the most stunning views over the river and the beautiful Bathampton meadows from the upstairs living/kitchen and dining area. Solid oak flooring, skirtings and architraves add an immediate feeling of quality, quickly reiterated by the sumptuous feel of underfloor heating. 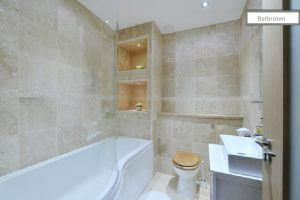 There is a luxury oak painted kitchen, an ensuite shower room and main bathroom. Style and good taste is something you only appreciate when you see it. 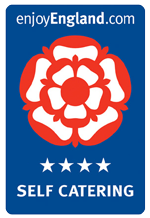 Judging by the tremendous reaction from our guests, we have achieved something very special with the Coach House and we are sure you will feel the same. You can walk to the river Avon and a super riverside pub from where you can take a beautiful boat trip into the City of Bath. 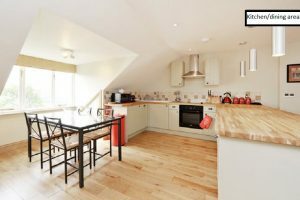 The surrounding countryside is easily accessed, by car, public transport, bike or on foot. There is a bus stop on the High Street outside, for maximum convenience. Park your car by the front door of the Coach House and leave it there for the duration of your stay. The courtyard in Batheaston is just on the edge and ten minutes drive from the City of Bath. 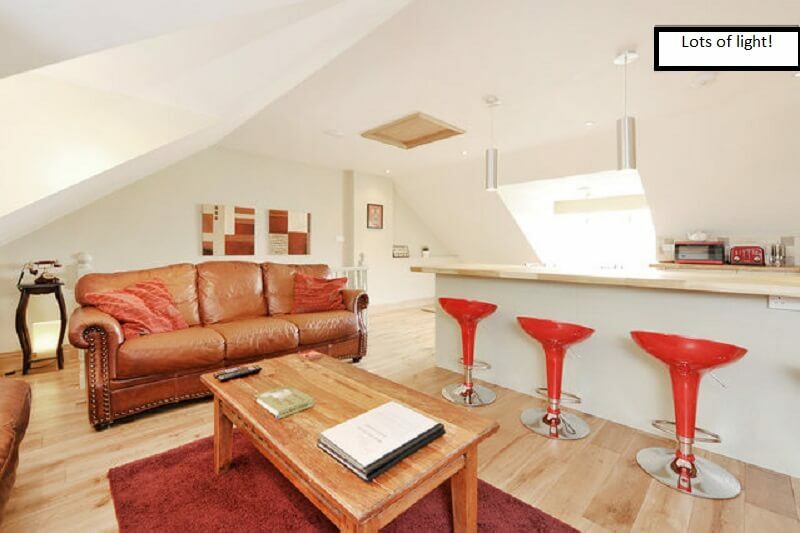 The luxurious four bed ‘Mulsanne House’ and the other properties can also be rented in conjunction with this property if you have a large group. 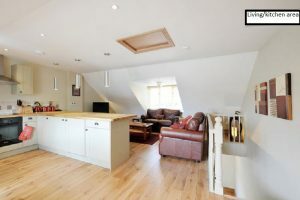 Please enquire for details, look at our website www.stay-in-bath.co.uk or see the listing on this site for the Courtyard, Batheaston. 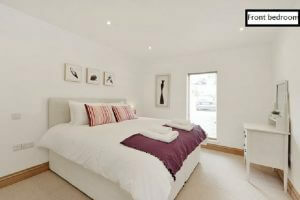 In conjunction with the other properties in the courtyard, we can sleep up to 23. Sleeps: 4, flexibly. Choose between any combination of twin and double beds. Bedrooms: One ensuite bedroom with 'Super King' zip and link beds, another bedroom with two zip and link 'Super King' beds if booked for more than two people. 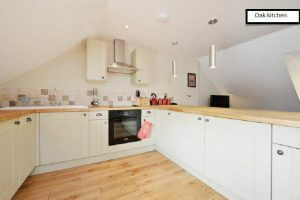 Kitchen: The Kitchen/dining area is fully equipped with dishwasher, washer/dryer, fridge, freezer, microwave etc. Children: We are geared up for adults so we don't provide any specific facilities for children, though they are welcome. Cots and high chairs available free of charge but please ask in advance. Pets: No, sorry, but see our property the Old Sweet Shop on this site, which will accept up to 2 pets. 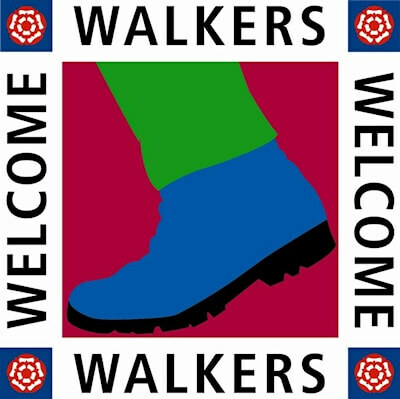 Local Pub/Restaurant: Less than a minute's walk is the excellent, family run, Gather Cafe, for breakfast, light lunch and the occasional evening event. 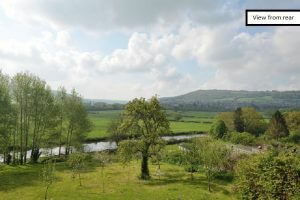 Within ten minutes walk is the lovely Bathampton Mill, right by the River Avon. A fantastic setting and great food and drink! 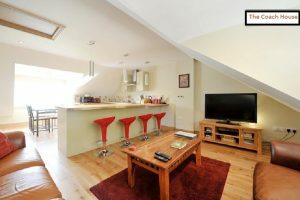 The property is in a great position for many local attractions as well as the fabulous city of Bath itself. Within close walking distance are such sights as: The famous Solsbury Hill (from Peter Gabriel’s song), St Catherine’s valley (and the former home of Jane Seymour), Brown’s Folly, the river Avon for walking, wild swimming at Claverton weir, fishing or boat rides, the Kennet and Avon canal, countryside walks including the Batheaston Commons and riverside pubs with great food. 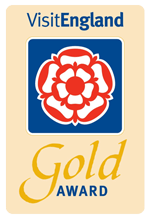 We are also on the edge of the Cotswold Way and in an ‘Area of Outstanding Natural Beauty’. One of our most frequent guest comments is how well situated we are. See the glowing reviews on Trip Advisor or see our website for more information about the area. Short breaks a speciality, just stay for 2 nights minimum – but you will want to stay longer and of course the longer you stay, the better the deal. For a specific price, just click on the calendar and then the number of nights you are planning. No obligation to book! 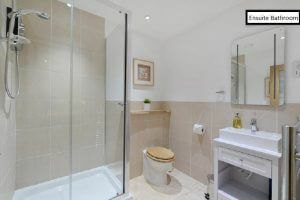 Two guests requiring use of both bedrooms and bathrooms need to add £40 to the stated cost.